Jennifer Lopez in the carnival themed music video for her song titled “Medicine” featuring rapper French Montana. Jennifer Lopez was seen in new photos rocking a tiny pair of tropical shorts looking as diva as ever. 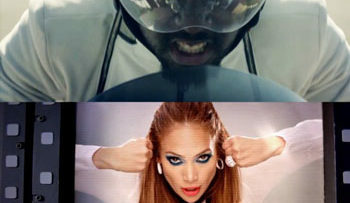 Jennifer Lopez in the music video for the song Goin’ In featuring Flo Rida.